Could Weymouth have its own Tidal Mill… Again…? > Could Weymouth have its own Tidal Mill… Again…? Tidal mills were once a fairly common feature in medieval Europe. They were deemed a reliable source of energy. Even in relatively modern times a few lingered on. But now of course they are regarded as interesting historical curiosities if they are noticed at all. Tidal mills have inspired the idea of building modern electricity generating plants using the same basic principles (allowing the tide to flow in, but capturing the water and then releasing it later to drive a wheel/turbine). But so far there are very few examples of electricity being generated this way (there’s one on the Rance estuary in France which cleverly uses the incoming tide as well as the outgoing). No UK Tidal Mills… yet! In the UK so far there are none. The Severn Estuary has been proposed as a site for an enormous tidal mill – but probably due to it being so enormous many obstacles stand in the way, so it never gets beyond the drawing board. But, if we could build these tidal mills in the middle ages, why can’t we now? Perhaps the problem is this determination that unless it’s a large system it’s not worth bothering with? Maybe (one day) it might seem worthwhile to build small Tidal Mills/Power Stations? And perhaps being smaller they will be seen to be practical and then we might have (found) another source of renewable (and reliable) energy to contribute to the overall supply. And that it seems to me, could be rather beautiful (the historical ones have a sort of practical beauty after all). It is possible that there was once a Tide Mill in Weymouth – see more on https://sites.google.com/site/dorsetwindmills/weymouth-tidal-mill – and it does seem clear that the tidal race in Weymouth Harbour is of sufficient strength to show such a mill would have been viable, as of course an electricity generating mill/turbine would also. There are Community Energy projects going on throughout the UK including by the Stour and Vale Hydro Group in Dorset to reinstate old water mills. 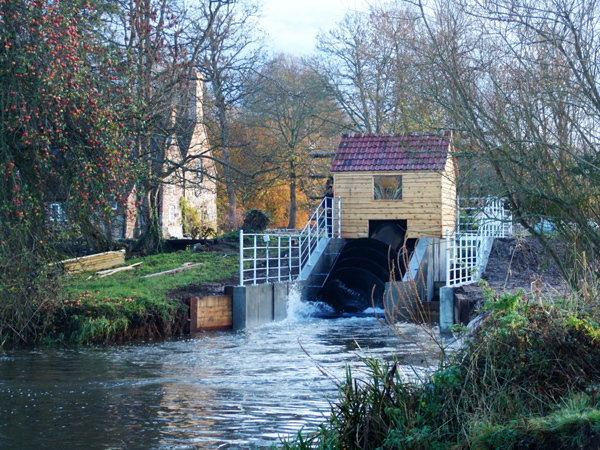 Check out the Bindon Mill Screw Turbine Installation – a local project which turned a disused water mill into a hydropowered renewable electricity generator. Perhaps you could help regenerate an old watermill near you, to power your community?! "Just came across news in The Guardian that Scotland has given the green light to Europe’s largest tidal energy project where wave power will provide electricity to 40% homes in the Highlands as work on building turbines in Pentland Firth gets approved – let’s hope Dorset will follow their example! : ) http://www.theguardian.com/environment/2013/sep/16/scotland-tidal-energy-project "